In Poker Night Blues, Tennesse Williams’ masterpiece, a Streetcar Named Desire, is undone, dismantled and distilled to its essential elements. Heightened physicality, dance, humour and an original text blend together to create this intense, touching and steamy fusion between East and West. 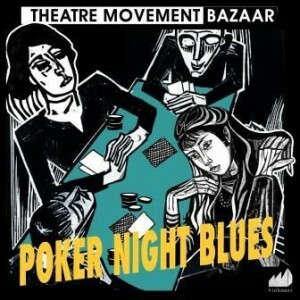 Poker Night Blues combines the energies and talents of the US-based theatre company, Theatre Movement Bazaar and Chinese-based Beijing TinHouse Productions. This highly stylised production merges two theatrical traditions to create a new form for contemporary audiences.